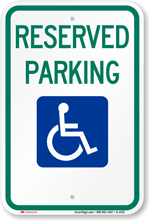 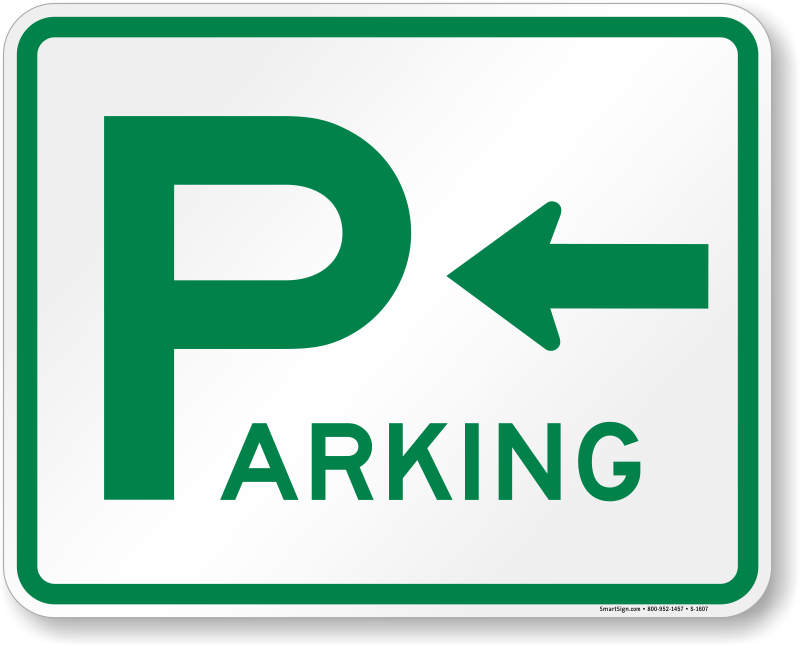 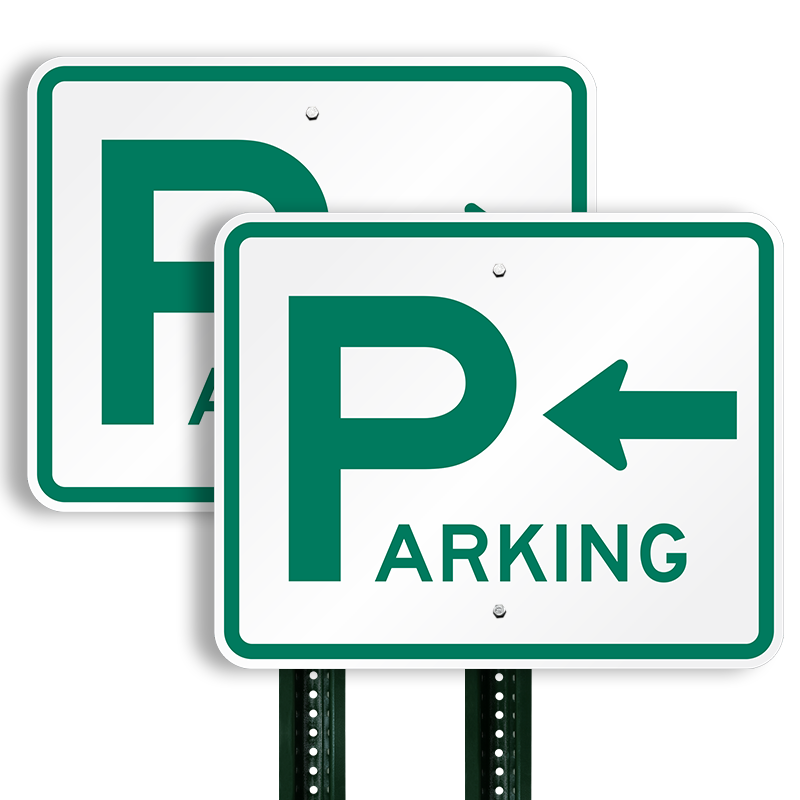 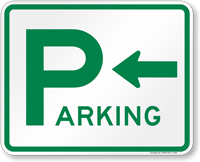 Durable, directional parking signs are guaranteed to last for years. 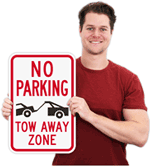 Available in a variety of reflective options. 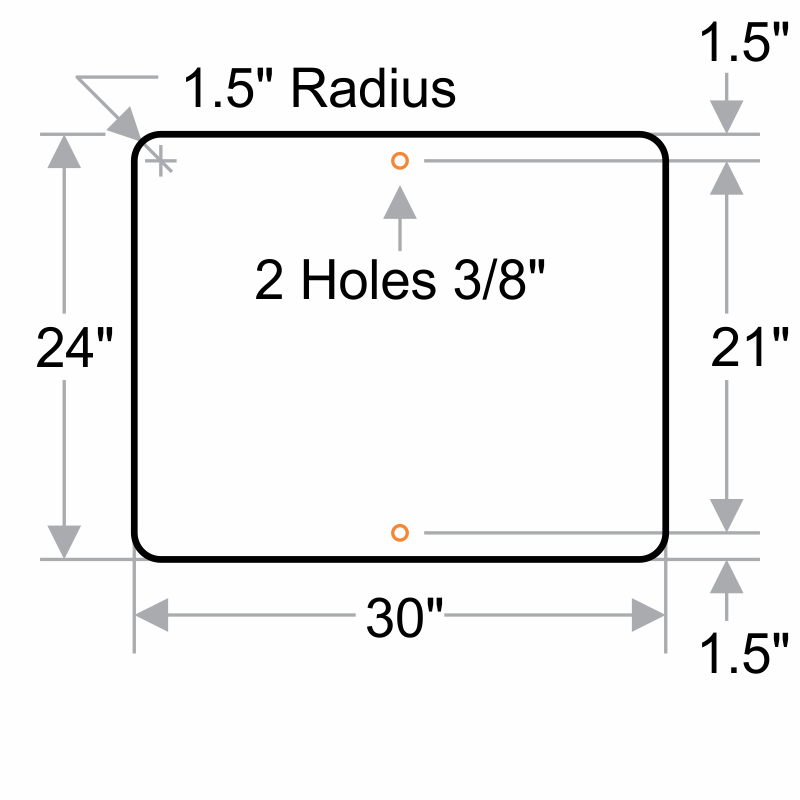 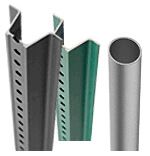 Tough aluminum features mounting holes for quick installation. 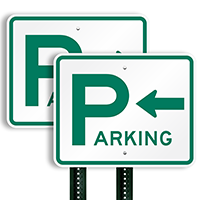 3M engineer grade reflective films offer great visibility. 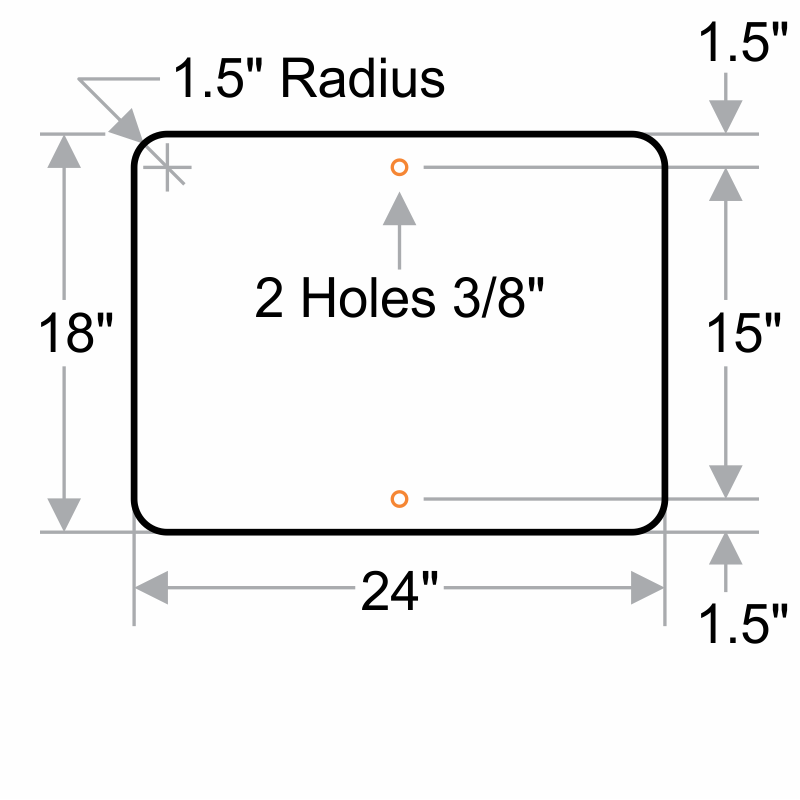 Good company to order from!